I originally published this post on the Black, White and Gray blog hosted by Patheos on October 10, 2013. I read the amazing resources Gretchen Rubin has posted on her blog about happiness, and defined the goals of the Calhoun Happiness Project as having 3 components: Reading, Resolutions, and Relationships. 3) Building Relationships with others by discussing how you are doing in your happiness project and learning about others’ journeys to authentic well-being. To read the full post, visit the Black White and Gray blog hosted by Patheos. I originally published this blog post on June 5, 2013, Black, White and Gray, a blog hosted by Patheos. Click here to read the full post. “Do you take your leisure seriously? If not, you aren’t going to get flow which I described last week. Contrary to popular belief, flow is not the easy-peasy feeling you get when plopping down on the couch to watch an old movie or the NBA Finals. Flow also is not the exclusive property of musical or spiritual virtuosos who seem to just forget the world around them as they wrap themselves in beauty or prayer. Flow happens when your work or leisure expand your consciousness, producing and optimal psychological state fundamental to happiness. I originally published this blog post on May 29, 2013, Black, White and Gray, a blog hosted by Patheos. Click here to read the full post. “Did you know that you can actually increase your ability to enjoy the things in life that produce the greatest satisfaction? When I read Martin Seligman’s PERMA concept of human flourishing (Positive Emotions, Engagement, Relationships, Meaning and Achievement) I simply presumed that Type-A, achievement oriented people like me are too busy doing our work to get into flow (another word for engagement). “Flow must be what creative types, like artists or actors, experience,” I naively thought. 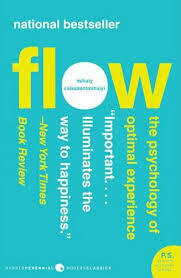 To learn more about flow, I recently perused one of the books from the reading list I developed for my positive sociology class, Flow: The Psychology of Optimal Experience, by Mihaly Czikszentmihaly. 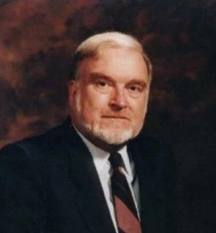 To my delight, I learned from Czikszentmihaly that the reason I can dedicate so many hours of solitary reading and writing is because learning new things is the primary way I experience flow. I originally published this blog post on May 1, 2013, Black, White and Gray, a blog hosted by Patheos. Click here to read the full post. “Have you ever felt overwhelmed at the number of choices to buy a salad dressing at the grocery store? Have you ever failed to choose a health care or retirement option just because, well, there were so many options that you couldn’t pick one? Have you ever searched and searched for the perfect pair of shoes, the best dress for a special event, or a new car, and then made a choice but still felt like maybe you could have found something even better? Posted on June 17, 2013 by Margarita Mooney | Comments Off on Is Tocqueville Still Relevant? I originally published this blog post on March 20, 2013, Black, White and Gray, a blog hosted by Patheos. Click here to read the full post. 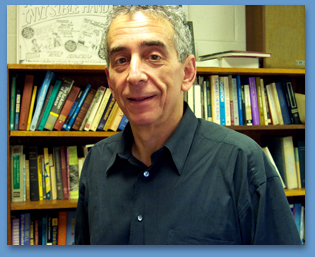 “It is with a bit of trepidation that I begin discussing with my students in positive sociology this week Alexis de Tocqueville’s Democracy in America. Is a work written in the 1830s relevant nearly 200 years later? When I assign readings from 1985 my students say, “Gee, this is old and out of context,” so how will they respond to a book from 1835? Will they dismiss Tocqueville’s insights or writing style as irrelevant to their everyday concerns and the concerns of our nation? 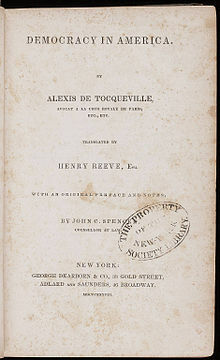 As the book’s title suggests, Tocqueville ventured to the U.S. from France to find out: what makes American democracy work? Comments Off on Is Tocqueville Still Relevant? I originally published this blog post on February 20, 2013, Black, White and Gray, a blog hosted by Patheos. Click here to read the full post.